• Expose data when people share passwords with others, especially through email. 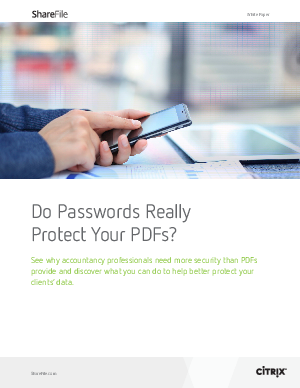 • Prevent your firm from knowing when files are read by unauthorized individuals. • Allow hackers to easily to gain access to confidential financial documents within minutes.